In the author's opinion, psychonetics appears to be a well-turned nerd's toolset to access mental and perceptual resources in their basic forms independently of any particular application and in an ideologically unbiased manner. Psychonetics can potentially be used to create new types of technologies that work with complex systems in their totality as organisms as opposed to using a mechanical approach in which a complex system is perceived as a mechanism that can be assembled or disassembled. Any practice that has noticeable effects on a practitioner's mind poses risks of misuse, excesses and undesirable side effects. Such practices are not recommended for individuals with mental issues or individuals prone to irresponsible behavior. Readers of this book must be fully aware that the practices, guidelines and safety norms in this book are provided as-is and without a warranty of any kind. The author of this book assumes no liability for unwise or unsafe actions by readers of this book. The term "psychonetics" was introduced by the Japanese businessman, innovator and futurologist Tateisi Kazuma, who originally mentioned this term at the international futurologist conference in Kyoto in 1970 . Tateisi Kazuma suggested that information technology ("cybernetics") would eventually be replaced by biotechnology ("bionetics") and that the latter would eventually be replaced by "psychonetics", which is a technology that relies on the exclusive properties of the human mind in addressing technological goals . In the late 1990s, the term "psychonetics" was selected  by Oleg Bakhtiyarov, an ex-USSR scientist, as the best term to name the terminology, methodology and group of practices of the research in which he was involved. 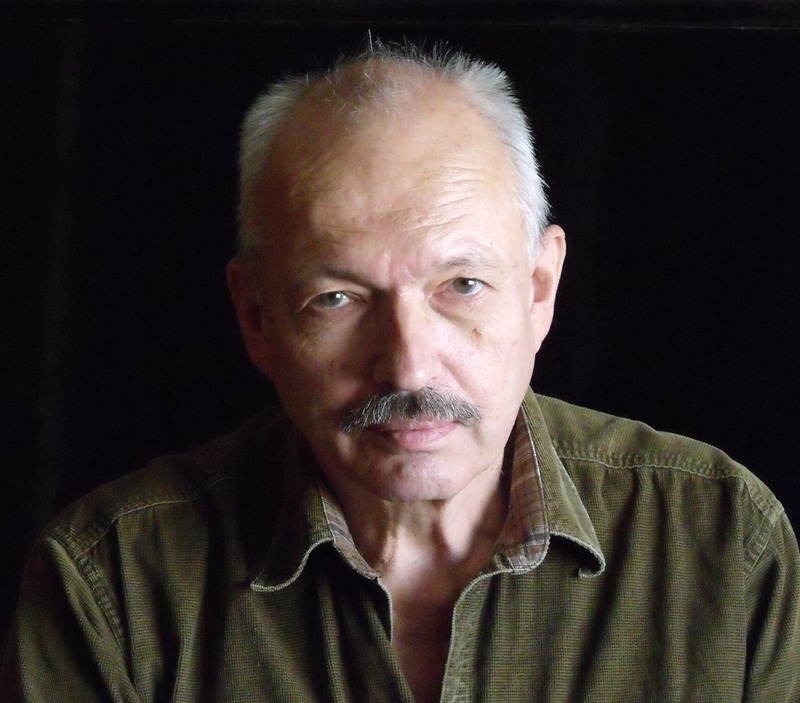 Oleg Bakhtiyarov wrote several books on the subject [1, 2, 3] and created several organizations (such as the University of Efficient Development) [9, 10, 11] to provide training in psychonetics to the public. Despite these activities, however, the openly available publications on psychonetics are surprisingly sparse, particularly with respect to introductory and beginner's material. This book attempts to address some of this gap by providing a simplified overview of the history, concepts, practices, educational process and applications of psychonetics. The terminology, practices and methodology of Bakhtiyarov's psychonetics originated from the research conducted at the Kiev Institute of Psychology, USSR, in the 1980s [1, 17, 16, 19]. Oleg Bakhtiyarov was part of the original team of researchers of this institute. He was involved in developing the majority of the techniques discussed in this book. For example, Bakhtiyarov originally presented the concepts that were later summarized as the "deconcentration of attention" at the 6th All-Soviet Union Congress of Psychologists Society of the USSR in 1983 in his thesis titled "On methods of regulation of an operator's psycho-physiologic condition". One group of tasks that the Kiev Institute of Psychology was addressing was enabling the human mind to efficiently address the challenges of operating new technological equipment. An example of such a challenge was the task to enable nuclear power plant operators to monitor many indicators simultaneously in an efficient manner . There was also a task to resolve the problem of monitoring radar screens for a long time. Most individuals monitoring a radar screen continuously for more than 30 minutes start to see things that are not there or start to ignore real targets. There was a requirement to develop techniques to monitor a radar screen for hours without undesirable side effects . The "unknown factor" in their research was a hypothetical mind-affecting weapon. The idea for such a weapon was based on an assumption that the human part is the weakest component of any complex system. Therefore, both the USSR and the USA invested resources in developing a weapon that would affect the human mind while having little to no effect on equipment. Although there is currently no proof of whether such a weapon was successfully developed, the task was set to preemptively develop psychological techniques that would enable an individual to resist such a weapon . 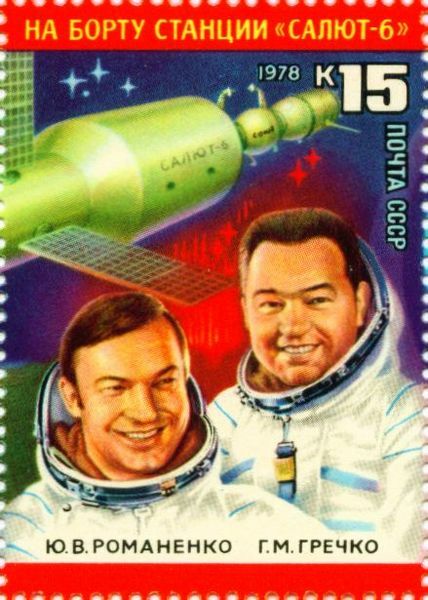 Another exotic example in which such "methods of retaining self-control" were supposedly applied is situations in which Soviet cosmonauts experienced occasional hallucinations during early space flights. According to Tatiyana Kovalyova, a lecturer from the University of Efficient Development , there were incidents in which cosmonauts reported seeing their relatives visiting them on the space station or a dog running around. Such hallucinations were attributed to the new and unknown factors associated with space travel such as extreme accelerations and zero gravity. The task of the Kiev Institute of Psychology team was to develop psychological techniques to enable cosmonauts to remain calm and continue to perform their duties regardless of any hallucinations they might be experiencing. According to the information provided by Bakhtiyarov [1, 16, 17] and the lecturers of the University of Efficient Development , the team in which Bakhtiyarov worked studied any technique or area that appeared to be mind-affecting in an attempt to accomplish their tasks. Studied subjects included hypnosis and self-hypnosis, the use of biofeedback devices, traditional Buddhist and yogic texts and practices as well as books of mystic writers (such as Carlos Castaneda). An important factor that influenced the research was the competition caused by the Cold War. This competition was strong and thus allowed the removal of all artificial barriers, including social, ideological and even traditional science barriers . The only factor that mattered was the results. This period was likely the most notable historical period in which the question of psychological human possibilities was addressed with such energy, resources and dedication by the strongest governments in the world. "All ideological barriers were removed for us," Oleg Bakhtiyarov says  concerning his time as a researcher at the Kiev Institute of Psychology in the 1980s. 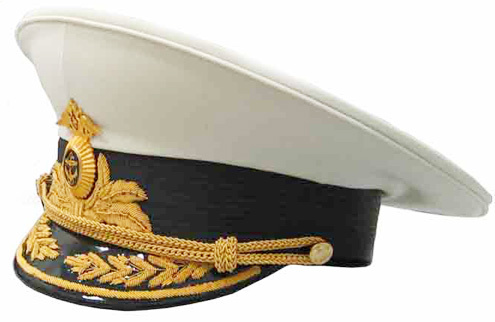 "When we once had an ideological conflict with the management of our institute, a military admiral arrived from the Section of Practical Problems, Academy of Science, who was supervising our research and forced the director to sign the required papers." Although the researchers themselves were shielded from the USSR's official ideology, the resulting practices were not. These practices were supposed to be delivered to the end-users, including cosmonauts, military special forces and operators of important equipment. Therefore, all potential ideological conflicts had to be avoided. The philosophical part of the USSR's official ideology was dialectical materialism , which claimed the primacy of matter over consciousness and generally denied religious and mystical subjects as being "opium for the people". The problem that the researchers faced was that most of the original practices that they studied were ideologically biased; in many cases, they were based on a religious or mystic ideology. According to Bakhtiyarov, the main part of their work was to separate working technology from an ideology to which it was connected . Although the task of extracting unbiased technology from ideologically biased practices was difficult, the resulting techniques gained unmatched flexibility and their area of applicability significantly increased. "We developed practices that enabled individuals to act under the model of some unwanted influence," Bakhtiyarov says about his work on "the methods of retaining self-control and performance in altered states of consciousness caused by an unknown factor" . "The model was simple. 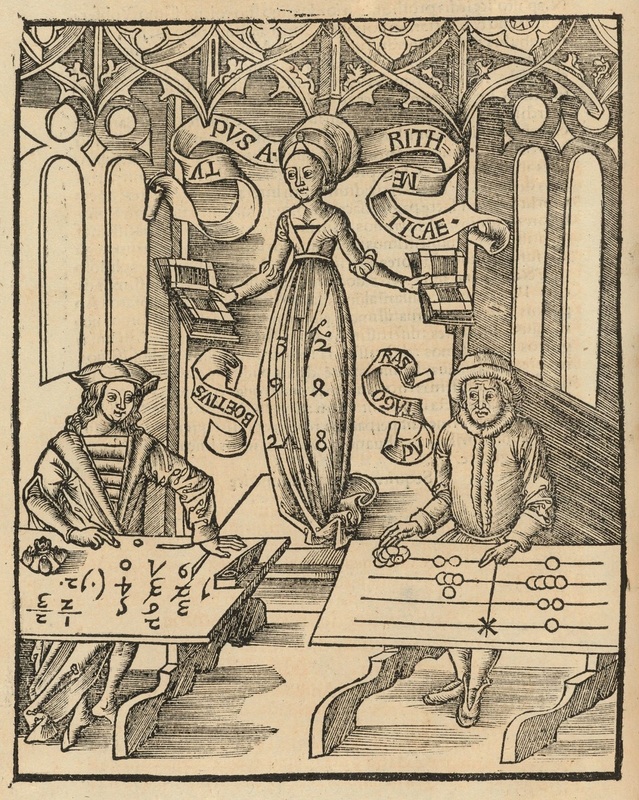 An individual performs some arithmetic calculation, such as subtracting 17 from 10000. Then, 17 again from the result and again." "At some point, he is administered nitrous oxide and sees a hallucinatory image. His task is to continue the calculation. However, he does not have means to continue the calculation because there is no logic anymore; thinking does not work." Although the individual loses regular consciousness, special training enables him or her to continue the original task regardless of the altered mental state. "The individual leaves this state [of mind] after 3-4 minutes. During this period, he performs 2-3 calculations. The speed clearly drops, but it still fits in the proper sequence." It might not be easy to explain how it is possible for a mind to continue consciously performing arithmetic tasks when it is officially unconscious. However, that team of researchers was seeking solutions to their tasks rather than explanations concerning the observed phenomena. The researchers' approach could be called "technological". A technological approach differs from a scientific approach in the sense that the former does not claim to develop explanations as long as there are reproducible steps that can be followed to reach a predictable result. In the case of psychological and cognitive research, the technological approach has its benefits because a human mind seems to be capable of producing many more experiences than it is capable of explaining. Explanations tend to assume the role of a censor, thus preventing experiencing phenomena that do not fit these particular explanations. Explanations could also conflict with existing ideologies such as governmental, cultural, individual or religious ideologies as well as with dominating scientific theories. Strict avoidance of unnecessary ideological (or rather, ontological) constructs allows such conflicts to be avoided. The collapse of the USSR in 1991 caused the described research (and many others) to stop because of a nearly four-fold drop in scientific funding in the region . After the USSR collapse, psychonetics was developed, maintained and popularized by enthusiasts such as Oleg Bakhtiyarov outside of a strict academic environment and apparent government interests (at least until recently ). A good illustration of psychonetical techniques is an exercise from a combat shooting course, which is related to confronting a group of armed individuals. Originally, this exercise was used to train advanced military personnel of the GRU (the foreign military intelligence directorate of the USSR). Currently, it is available as part of sportive and recreational courses (the exercise was demonstrated by a retired GRU officer Arthur Mitiniani ). 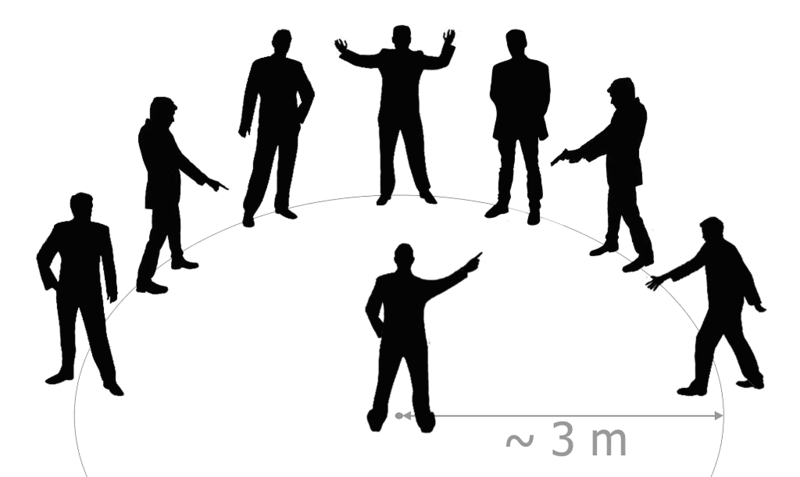 One man stands in the center, and others form a half circle that is approximately 3 meters in radius and covers the whole field of vision of the individual in the center. Each individual in the half circle has an unloaded handgun in a holster and is capable of quickly drawing it to simulate two shots toward the individual in the center. A trained individual can draw a handgun from a holster, unlock the safety lock, pull the slide, aim the handgun at a target and begin firing it in one movement taking less than one second. Therefore, this movement is dangerous and must be recognized as quickly as possible. In this basic exercise, the task of the individual in the center is to point toward the individual who is firing with an index finger. The task of the individuals forming the half circle is to distract the individual in the center by various means, such as by making random moves and sounds. Simultaneously, only one of them makes a firing move toward the individual in the center, followed by another one, and then another one. The individual in the center must identify and point toward these moves as quickly as possible. This exercise is impossible to perform if someone attempts to identify the threat by concentrating attention on separate individuals facing him or her. Although the number of individuals to monitor remains relatively tolerable for normal perception to handle (5-9 individuals), most of these individuals are located in the area of peripheral vision, thus giving the peripheral area the same significance as the central visual area. The technique that enables efficient performance of this exercise is to look in the direction of the middle area of the half circle without focusing on anything in particular and then to spread attention equally among all the individuals in the field of view. Although this is not a traditional method of using attention, such an approach makes this exercise easy to perform. 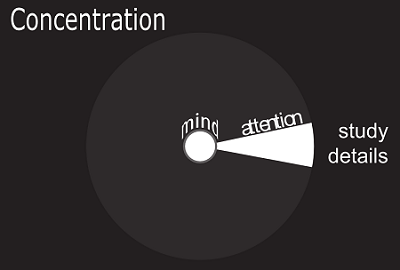 Deconcentration of attention is a technique opposed to concentration, during which attention covers the entire visual perceptual area. Either forming figures is stopped completely, or figures continue to be formed but are perceived all at the same time without any individual figure getting special attention. Working with distractions is a technique to continue performing the original task regardless of external or internal distractions. Pure meanings: In a combat situation, the mind can operate in a manner that might appear unusual to some people. This experience can be perceived as the "normal" mind turning off and another mind awakening. This "other mind" does not think serially with words. Instead, it thinks dimensionally, with mental sensations of pure meanings. 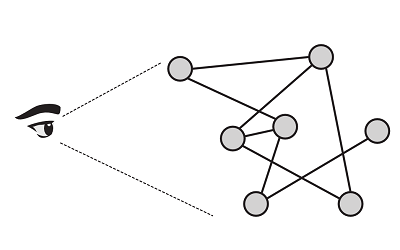 In this altered mental state, complex solutions are discovered in one single step (in a manner in which a quantum computer is supposed to operate) and not in multiple steps by following a serial algorithm. Extreme situations: Certain perceptual phenomena, such as the deconcentration of attention or the experience of pure meanings, although less common or seemingly non-existent in regular life, could manifest themselves spontaneously in extreme situations such as facing a mortal threat. Gaining access to such unusual perceptual and mental capabilities might be the factor affecting war veterans, who long for these sensations and thus seek life-threatening situations deliberately. It also appears that this factor has fueled martial arts for centuries. The sensations provided by this exercise can be familiar to individuals who have experienced them elsewhere. In my case, I have noticed a similarity with the sensations that the mind produces when it resolves complex tasks in software engineering. Similar to how a military specialist deconcentrates attention in sensory space to notice subtle traces of a potential threat, a software specialist deconcentrates attention in mental space to discover subtle traces of a potential solution. Psychonetics originated from academic research and appears to employ scientific criteria and methodology (such as [27, 28]) in many aspects. Psychonetics, like science, is agnostic. This implies that there is no ultimate truth to believe in. Each new practitioner must validate all psychonetical statements experimentally and personally, without the need to conform to anyone else's opinion, including opinions of Bakhtiyarov or the author of this book. Psychonetics makes a few assumptions, such as assuming the existence (or at least subjective existence) of a practitioner, of perceptual modalities (visual, auditory and somatic) and the ability of a practitioner to command his or her perception in mentioned modalities. Based on its assumptions, psychonetics provides unbiased descriptions of various perceptual phenomena together with practices to experience them. Although some phenomena are relatively easy to experience and thus validate their existence, other phenomena might take time and effort to achieve and thus validate. Perception-driven: psychonetics operates with phenomena that are perceived directly, such as "concentrated attention", "visual modality" and "imaginary space". With practice, the list of such directly perceived phenomena increases. All subjects that cannot be perceived directly (initially or through practice) are avoided in psychonetics. Empirical (practice-driven): psychonetics is studied through practice and not through abstract thinking. The reason for this approach is that abstract thinking cannot substitute for the personal experience of perceptual phenomena that psychonetical practices provide. Abstract thinking typically operates through verbal interpretations; in the case of new experiences, it can assume the role of a censor, thus limiting perceptual capabilities. However, abstract thinking can be a good tool to store, summarize and communicate the acquired knowledge. Technological (practice-oriented): psychonetics seeks reproducible practical results and not verbal explanations or interpretations of why these results occur. The reason for this approach is that the human mind appears to be capable of producing many more experiences than it is capable of explaining. Psychonetics suggests that a verbal explanation of a perceptual phenomenon is not required for its practical usage. In some cases a verbally inexplicable phenomenon can be used practically through pure meanings (see below). However, pure meanings appear improper for the tasks of storing and communicating knowledge, in which a verbal description is a better tool. Unbiased: strict avoidance of unnecessary or one-sided interpretations makes psychonetics ideologically (ontologically) unbiased. Psychonetics does not deny or confront ideologies, interpretations or explanations, which many people consider important in their lives. However, ideologies, interpretations or explanations are either considered a personal choice of a practitioner that is outside of the scope of psychonetics or their role is reduced. Sober and discreet: psychonetics promotes a sober, non-emotional, discreet and (in a certain way) humble attitude toward itself and toward the experiences that psychonetics produce. This attitude comes from the deliberate avoidance of "the ultimate interpretation" of what psychonetical experiences truly are. There is also no ultimate interpretation of what is the true purpose of psychonetics. Such an attitude helps to avoid certain misuses of psychonetics, such as overrating one-sided interpretations and overrating alternative aspects of the world. Precise: psychonetics struggles to be as precise in its statements as possible. For this reason, Bakhtiyarov promoted the use of an artificial language Ithkuil [33, 34], which appears to be potentially superior to a regular language in both expressive capabilities and precision. Extensible: psychonetical practices are customizable and extensible, which enables creating new practices and/or adapting existing practices for different purposes. Psychonetics relies on an assumption that an individual has the ability to command his or her perception. This ability is proposed to be named "will". A broader definition of will is "a goal-oriented activity unrelated to any motivation or external stimuli" [3, 15]. Although an individual can perceive will as his or her "self", it stands completely independent from both physiological and psychological bodies and their manifestations. Psychonetics assumes that true will is independent from seemingly everything, which makes will an ideal monitoring and controlling authority of mind. In Russian, the word "will" ("воля") is a synonym of "freedom", which makes it an accurate term for describing the underlying experience. It appears that the concept of will occasionally became discredited through history, apparently in cases when some individuals associated will with a physiological or a psychological function. For example, the Nietzschean "will to power"  concept is often confused by its followers with the animal instinct to dominate. Will need not be associated with such things. More appropriate subjects that can be associated with will include personal freedom and creativity. "Modality" in psychonetics is a space in which each of the human senses operates. Basic psychonetics operates with 3 modalities: visual, auditory and somatic. Visual modality determines the perception of a 3D space. It is typically the most practically used modality. Auditory modality provides perception of sounds and can contribute to perceiving 3D space, but its most distinguishing quality is the perception of time. Somatic modality provides perception of body sensations. Psychonetics picked the "somatic" term over "tactile/kinesthetic" because the former addresses both body surface sensations together with body internal sensations. There are also imaginary modalities – simulations that a mind can produce for each of its senses. "Attention" in psychonetics is a perceptual resource which has functional and substantial aspects. 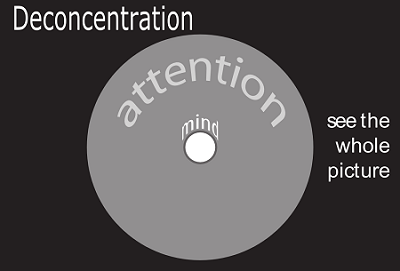 The functional aspect of attention includes such functions as forming figures, concentration and deconcentration of attention. The substantial aspect of attention manifests in practices in which attention fills a volume, such as local volume of attention exercises or volumetric deconcentration. "Pure meanings" is a mental area that contains knowledge without words, symbols or any sensorial simulation (imagination). The pure meanings area has its specific mental sensations, but they are unrelated to any sensorial sensations and are typically ignored by normal attention. "Pure meanings" ("чистые смыслы", Russian) appears a better term than does "pure semantics", which I used in my earlier article , because it reduces the tendency to overcomplicate a subject that is not that complex. The concept of "pure meanings" and "pure meanings theory of consciousness" was developed by several Russian scientists, such as Vasiliy Nalimov , Andrew Agafonov  and Andrew Smirnov . It appears that most individuals have experienced pure meanings sensations – that is, when they have a feeling of knowing something, but the words do not appear for some reason. This experience could occur in situations of being very tired, situations of being sick or in extreme situations. This experience also occurs when a person tries to use a language with which he or she is not comfortable ("code switching problem" ). Another area in which pure meanings are easier to track is art. Music, for example, enables some individuals to experience diverse pure meanings, which are not easy (or not even possible) to transform into words. In the case of art, however, it is important to be able to isolate pure meanings from emotions. Yet another hint concerning where to seek pure meanings sensations is childhood. These sensations are obvious for children, but the same sensations are typically ignored in adulthood. Approaching the pure meanings mental area consciously via practices reveals that it contains not only meanings of anything an individual knows but also a multitude of unknown meanings for which there are no words or descriptions. Although it is difficult to understand and explain what pure meanings really are, using them for practical purposes appears much easier. Pure meanings enable practical usage of some perceptual phenomena that are either difficult or impossible to explain verbally. Conscious control of attention in any non-traditional manner (essentially, any operation with attention besides concentration) is initially difficult for most individuals. Will meditation seems to facilitate the process by serving as an "operation position" from which to approach all other practices. Will meditation provides a "ground state calibration" for the psychophysiological state of a practitioner thus serving as the main protection from any undesirable side effects of other techniques. Any practice that has noticeable effects on a practitioner's mind poses a risk of excess and undesirable side effects. Will meditation provides the ability to normalize mental state in many situations. Will meditation is performed in a relaxed seated position with a straight back. The eyes are closed. The practitioner repeats two statements to himself or herself in his or her mind. The first statement is, "I am" (in the sense of "I exist"; "Я есмь"", Russian). The second statement is, "I am will" ("Я есть воля", Russian). The basic will meditation consists of three phases that are used in turn as the practitioner considers necessary. During the first phase of will meditation, a practitioner can feel the vocal muscles moving, hear the imaginary sound of the words and try to experience the meaning of each statement. During the second phase of will meditation, the vocal muscle movements are suppressed and the practitioner only hears the imaginary sound of the words and tries to catch the purely mental, non-verbal sensation of the meaning of each statement. During the third phase of will meditation, the imaginary sound of the words is also suppressed and the practitioner only experiences the pure mental sensations, the pure meanings of the two statements without verbalizing or imagining them in any manner. The third phase can be a challenge for beginners. With practice, however, experiencing pure meanings becomes easier and more natural. When performing will meditation, a practitioner cultivates a feeling that nothing is an excuse to stop will meditation. For example, a phone rings, someone knocks on the door, the house ignites on fire, aliens arrive, the apocalypse begins, or the sun becomes a supernova. Nothing, absolutely nothing, is an excuse to stop will meditation. External distractions, such as sharp noises, are welcomed in will meditation. A practitioner notices how his or her attention extends toward that source of distraction, "grabs" that attention and pulls it back into the process of performing will meditation. The same technique applies to internal distractions caused by psychological mental processes. "Could this sensation be treated as a physiological body sensation (for example a sensation of feeling strong, energetic, relaxed or powerful) or associated with any particular body part?" "Could this sensation be treated as a psychological body sensation (for example, a sensation of being tough, cool or unbreakable)?" If either of the above criteria is true, the experience is yet another distraction that must be addressed in the same manner as other distractions – that is, by pulling associated attention (associated energy) from them and placing this attention back into will meditation. During will meditation, all body sensations are treated as distractions, with the exception of pronouncing the will meditation phrases (in phases one and two) and keeping the back straight (which is required to maintain a sitting position). A practitioner can keep the will meditation sitting position for most of the other practices, which are described below. One of the goals of psychonetics is to attain conscious control of perceptual habits. An example of such a perceptual habit is how perception reacts when there are two or more equally valid ways to perceive something. This situation is called "a perceptual uncertainty". In the case of a perceptual uncertainty, the typical perceptual habit is to switch between available options spontaneously after some time. "Individual rhythm of switching alternative images vary within wide limits - from several dozens to 1-2 times per minute" . Psychonetics converts perceptual uncertainty phenomena into exercises and focuses primarily on two particular cases because of their versatility: a 2D image of a 3D cube (also called a Necker cube) and two colored circles. Necker cube: a Necker cube can be viewed as having either the left-bottom side in front or the right-top side in front. When normally observed, a cube flips spontaneously every once in a while; one side comes in front, and then the other side becomes the front. Two colored circles: the circles include one red and one blue circle. A practitioner shifts eyes focus (by focusing either before the surface or behind the surface on which the circles are displayed) until 3 circles appear with the central circle combining both red and blue circles. In this case, the central circle starts changing colors spontaneously (from red to blue and then back from blue to red). A practitioner volitionally holds one side of the Necker cube in front for 1-2 minutes without letting it switch to another one. Then, a practitioner relaxes for some time and attempts the exercise again and repeats such a cycle until the total exercise time is over. A practitioner observes two or more Necker cubes and volitionally prevents them from flipping spontaneously. The cubes could have the same or opposite sides in front. A practitioner attempts to increase the speed of switching between perceptual options to be as fast as possible. Both sides of a Necker cube are perceived as either front sides or back sides. This practice produces a perception of an "impossible" object that cannot exist in the regular world. A practitioner volitionally perceives the Necker cube as a flat (2D) figure without depth. Similarly to the Necker cube exercise, a practitioner volitionally perceives the central circle as either blue or red for 1-2 minutes. Then, a practitioner relaxes for some time and attempts the exercise again and repeats such a cycle until the total exercise time is over. A practitioner observes two or more pairs of colored circles (or other shapes, potentially with other color combinations) and holds their perceptual options either in the same or in opposite states. In the case of the colored circles, visual perception splits into two perceptions and the central circle is perceived as both red and blue at the same time. A practitioner forces the perception to see half of the circle as red and half as blue. Once this perception is achieved, a practitioner splits the circle into four slices of varying red/blue, and then into potentially even more slices. A practitioner forces the perception to see any arbitrary red figure appear on the blue surface (or blue figure on the red surface). Exercises to control perceptual uncertainties lead to better and more conscious control over perception in general. These exercises can be viewed as "perceptual weight lifting", because performing them properly may require significant increase in attention intensity. Bakhtiyarov mentioned in a seminar that "exercises on controlling perceptual uncertainties lead to a glance that has the abilities of a hand". Although this statement can be interpreted in different ways, these practices indeed produce a specific type of visual perception with a subjective sensation as though a glance "grabs" an object while providing some type of tactile input. Controlling perceptual uncertainties practices open a large area of creativity. A practitioner can review optical illusion images available on the internet (such as ), select any one that appears interesting, notice a perceptual habit that this particular optical illusion invokes and then try to control it. There are also perceptual uncertainties in auditory and somatic modalities that can be explored and practiced. Initially, it is important for a practitioner to become aware of attention. In other words, to pay attention to attention itself. For example, in visual space, the focus of eyesight and the locus of attention are typically tied together by a perceptual habit. Here is the simplest exercise to make these factors independent. A practitioner keeps the attention on some object within peripheral vision without watching it directly. A practitioner can then start moving the focus of eyesight in different directions or turning the head while still keeping attention on the selected object and without watching it directly. A practitioner watches a single black circle and focuses all attention on it. A deeper concentration can be achieved by using 2 black circles. A practitioner shifts eyes focus (by focusing either before the surface or behind the surface on which the circles are displayed) until 3 circles appear then concentrates attention on the central circle. A criterion indicating that concentration still occurs is that the central circle remains solid and does not split into 2 original circles. "Deconcentration of attention is opposite to concentration and can be interpreted as a process of dismantling of the figures in the field of perception and transformation of the perceptual field into a uniform (in the sense that no individual elements could be construed as a perceptual figure) background" [1, 2, 15]. With planar deconcentration of attention, the visual world is perceived as an indivisible, flat background with the figure-forming function of attention stopped. While deconcentration can be used to address some tasks in an efficient manner, Bakhtiyarov considers that this technique has a deeper value. He thinks that deconcentration is one of the key elements of attaining true existential freedom. Normally, various objects of the environment force human perception to form them. This process of forming objects is usually predetermined and uncontrollable. Deconcentration, however, gives an individual the ability to control this process consciously. The eyes look forward without focusing on anything. The eyes stay this way throughout the entire exercise. Attention locates the left-most object in the peripheral field of view. If there is no object there, then the attention covers only the left-most spot. An individual can trick attention to go to this direction by imagining that something important is occurring there. The top-most and bottom-most spots are added so that the attention is tracking four points. The entire peripheral borderline becomes covered with attention. The attention now forms an ellipse. The attention spreads over the entire field of view, moving from the edges to the center. This direction – from the periphery to the center – ensures that peripheral visual areas have the same significance as the central visual area. It can take time to achieve and deepen the deconcentration state. At the beginning, attention will keep creating individual objects, which is normal. A practitioner must keep trying to stop attention from creating objects and deconcentrate it volitionally for at least 10 minutes. Once the deconcentration state is achieved, a group of specific phenomena can be experienced. Various visual effects might occur, such as seeing the world as a chaotic set of colors, or the whole visual field might become covered in white or gray fog. These phenomena are normal because there should be no perception of any objects; what is perceived is rather the overall "state" of the visual field. Psychonetics proposes an exercise with the Schulte table  as a means of experiencing how to apply deconcentration to a practical task. A practitioner looks at the area in the center of the table without focusing on anything in particular. The eyes might even become unfocused, looking nowhere but in the general direction of the table. While looking as described, a practitioner focuses the attention on the top-left corner of the table. The attention is separated from where the eyes look. The eyes should keep looking in the direction of the table center in a relaxed and unfocused way during the entire exercise. While keeping attention on the top-left corner of the table, a practitioner adds attention to the top-right corner, bottom-left and bottom-right corners of the table. Now, the attention highlights the 4 corners of the table. A practitioner spreads attention over the outermost row of the table. Now, the attention forms a frame of a square. A practitioner covers the entire table area with attention, starting from the outside frame and going toward the center. When the entire table area is covered with attention, a practitioner maintains this state for some time. The eyes remain unfocused on anything and are looking somewhere in the direction of the center of the table. At this time, the table might look blurry or even visually disappear, and various visual effects can occur. Next, a practitioner tries to search for a colored number, without moving eyes to look for it. A practitioner just makes himself or herself very interested and very concerned with finding, say, 24 red. Deconcentrated attention can pinpoint the number instantaneously – it pops up immediately from the table. When the number pops up, a practitioner does not move eyes to see it. A practitioner just notices it with peripheral vision. Then, a practitioner relaxes for a moment and looks for the next number in the same way. 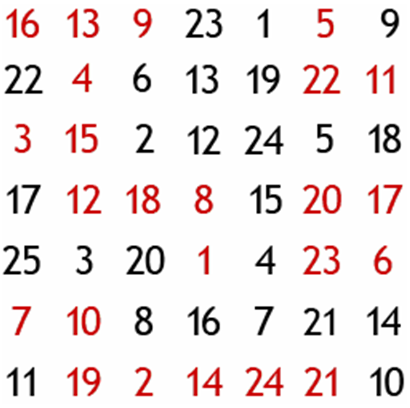 For example, a practitioner can find all numbers in ascending sort order: 1 black, 1 red, 2 black, 2 red, 3 black, 3 red, etc. Another way to do this exercise is to find all cases of the same number in different colors at the same time. For example, attention highlights all cases of 1, then all cases of 2, then all cases of 3, etc. Planar deconcentration with closed eyes is performed in the same way as with opened eyes and requires a similar amount of time to achieve the proper experience (at least 10 minutes). One group of practices that starts from deconcentration with closed eyes is to fill some area (or all visual area) with attention and volitionally see imaginary colors (and then imaginary objects) in such areas. Attention acts like a canvas for such practices. Also, it appears that there are several different planes that can be perceived through deconcentration with closed eyes, such as planes that render dreaming images or memories. The dreaming plane can be difficult to perceive normally because concentrated attention typically destroys its perception. Maintaining deconcentration allows retaining the perception of the dreaming images plane without destroying the plane, potentially enabling entrance into a lucid dream consciously. In a similar manner some events from a practitioner's memory can be "relived" in a more realistic way. Planar deconcentration can be combined with controlling perceptual uncertainties practices (which were described earlier) to attain conscious control of yet another group of optical illusions. In this type of deconcentration, objects are selectively created (for example lines continue to be perceived in the images below, all at the same time). The deconcentration over an optical illusion image can be achieved in the same manner as in the previous practice with the Schulte table. In the Cafe Wall Illusion (figure VM.PDA.OI.2), deconcentration combined with the controlling perceptual uncertainties technique allows keeping all of the horizontal lines straight and parallel. A practitioner starts with planar deconcentration and then expands it forward, adding the perception of the 3D volume to the deconcentration experience (adding perception of distances to visible surfaces). Volumetric deconcentration can still perceive objects. However, all objects are perceived at the same time and without attention switching from one object to another. While planar deconcentration can be interpreted as a "passive" version of visual deconcentration (which detaches a practitioner from the regular world), volumetric deconcentration is an "active" version of visual deconcentration that allows participating in regular world activities. Volumetric deconcentration is practically applicable in activities that require extra perceptual abilities, tracing weak perceptual signals and/or extra speed in decision making (finding hidden objects, combat, car racing and martial arts). Perceiving normal and familiar things through volumetric deconcentration can produce strong and unusual experiences. For example, observing a large mountain canyon through volumetric deconcentration can become an overwhelming experience, as can observing an open field with grass or bushes while trying to notice the movements of the wind with volumetric perception; or observing rain, snow or autumn leaves falling. A powerful sensation can be achieved by making a fire in the night, which produces many sparks flying up, and then observing these sparks with volumetric deconcentration. A peculiar property of volumetric deconcentration is that it can be expanded into an illusory 3D space. The general effect of this technique is that it makes the subjective perception of an illusory space more realistic. In some cases, this technique can produce a sensation of attention creating a 3D space. A more advanced version of this exercise is to use it with a photograph or a picture that has noticeable depth indications. Volumetric deconcentration can be practiced in a 3D space reflected in a mirror or a water surface. A practitioner starts with planar deconcentration over the reflective surface and then alternates it with volumetric deconcentration in the reflected 3D space. When a practitioner looks straight at a mirror, deconcentration can be difficult to achieve because the practitioner's personal reflection can attract all of his or her attention. This situation is one of the most difficult conditions under which to practice deconcentration; thus, the exercise is very useful. The process of breaking the perceptual habit of concentrating on a personal reflection develops a stronger deconcentration skill. Practices with mirrors open an area for creativity, such as combining multiple mirrors and maintaining perception of several overlapping but independent 3D spaces at the same time. Although practical applications of such techniques might not be obvious, they at least demonstrate unusual capabilities of the human mind. Volumetric deconcentration can be practiced from planar deconcentration with closed eyes when perceiving the dreaming images plane (see VM.PDA.CE.1 exercise) as a technique to enter lucid dreaming consciously or to relive a memory. 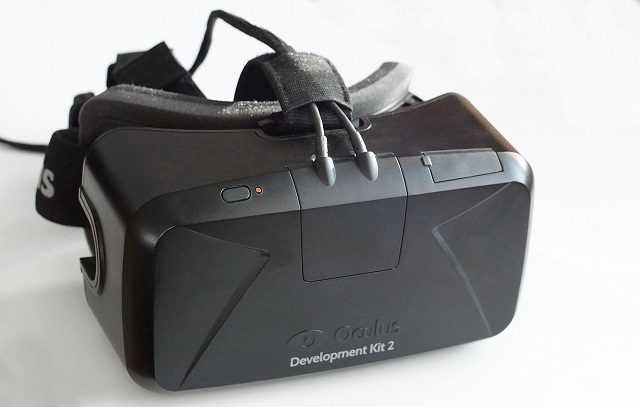 Volumetric deconcentration can be practiced when visually experiencing a VR world created with the Oculus Rift or a similar device. Volumetric deconcentration fills the entire virtual visual space with the individual's attention, thus making this space more alive and realistic. The local volume of attention technique (described below) can be used to increase the subjective realism of any particular object (or multiple objects) in the virtual 3D space. A local volume of attention can form naturally once the focus of the eyesight and the locus of attention become separated, such as through the VM.AA.1: Becoming aware of attention exercise. Once attention becomes detached from where the eyes are looking, it normally forms a volume. For example, it could form the volume of a cloud or a sphere of a different size, depending upon the distance from a practitioner. The difference between Concentration of Attention (CA) and LVA is that whereas visual CA perceives a surface of an object, LVA perceives a volume – all at the same time. This perception is different from visual observation of surfaces (from outside or inside). Ideally, LVA becomes a special sensation of perceiving volume at the same time from all sides, both inside and outside. When a complex object rotates and is observed through regular visual perception, its immediate visual shape changes. With LVA, the shape of an object is unaffected by rotation. Psychonetics works with attached and unattached LVA. Attached LVA fills the volume of an object. Unattached LVA is not attached to any particular object. A practitioner places attention anywhere in the room, such as in a room corner (which is visible by peripheral vision) without watching it directly and commands attention to form a ball or a cloud. A practitioner attempts to isolate and intensify the specific perceptual sensations of an LVA that this exercise produces. A practitioner forms a ping-pong-ball-sized LVA an arm's length in front of the practitioner's head and then starts rotating it around the head in a horizontal plane in a clockwise or counterclockwise direction. The practitioner notices the difference in perception of the LVA when the LVA leaves the visible area and goes in the area of visual non-perception (see below) behind the head and then when the LVA comes back from the other side of the head into the visible area. To increase the complexity of this exercise, a practitioner can add multiple LVA balls – 2 and then 4 balls – and rotate them all at the same time. These balls can be rotated in the horizontal/vertical planes or in any orbit around the head and in any direction. A practitioner forms a ping-pong-size-ball of LVA and passes it through different objects. A practitioner tries to notice the perceptual differences when the ball passes through an object and remember these differences. A practitioner creates an LVA that fills the volume of an existing object. The LVA takes the selected object shape. It is easier to start with simple and small objects – such as a water bottle or a coffee can – and then try to do this technique with larger and more complex objects. A practitioner rotates an LVA ball. This action might be difficult to perform but it seriously intensifies the LVA-specific perceptual sensations . This practice is useful to suppress any visual imagination, because visual imagination cannot keep up with the perceived phenomenon. Somatic imagination should also be suppressed. A more complex version of this practice is to rotate two halves of the ball in opposite directions. Yet another way to make this practice harder is to rotate the ball in two or more directions at the same time. A practitioner starts with creating simple and smaller forms with unattached LVA. A practitioner works on improving the quality and precision of the created form. For example, the first step is to transform a ball of LVA into a torus. 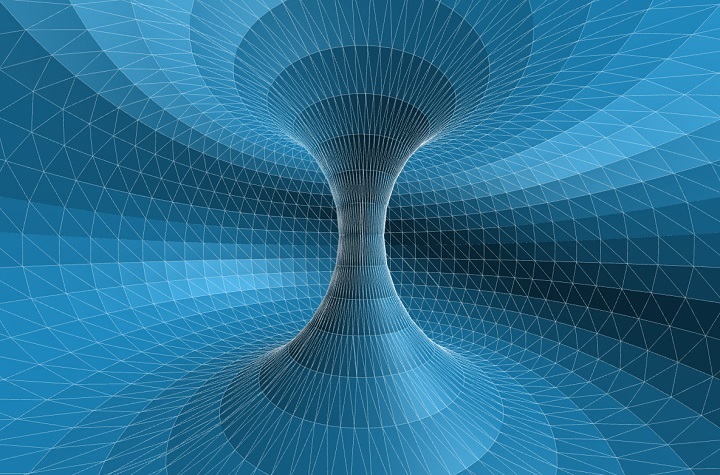 This may become a difficult task, because attention should not fill the empty space inside the torus . Then, the practitioner can increase the complexity and size of the LVA form. Once a practitioner gets good experience with creating and controlling LVA, a practitioner attempts to create moving forms, starting from the smaller and simpler objects. For example, it is possible to create a realistic shape of a bird with LVA and make it fly. A more complex exercise is to create an exact copy of an individual's body with LVA and make it walk around the room. An abstract plane of vision (APV) is a mental area in which visual images convert into pure meanings, the "pure visuality" area. Imagine a person playing a computer game for so long that this person forgets about the existence of the monitor that displays the game images. An APV is this "monitor" in a human mind. Psychonetics places APV in the perceptual category of "non-forms". Experiencing APV is the most difficult of the visual practices. It is advisable to attempt this practice once a practitioner is skilled with planar deconcentration. An APV is accessed from a planar deconcentration of attention by pulling the conventional observer a little bit back from the deconcentration plane. Conventional observer is an area that many individuals subjectively treat as their visual perceptual self. This area is typically located in or behind the eyes or in the center of the head. A practitioner volitionally rotates the APV, thus achieving an "angled" view on the visual perception, which eventually leads to liberation from one of the most powerful perceptual habits. This practice leads to a clear separation of the space of attention from the visual modality (both real and imaginary) , which opens the possibility to work with the space of attention directly. Pushing the conventional observer volitionally to the front through the APV can lead to loosing perception of the regular world and perceiving something else, which is not 2D or 3D and which does not have clear separation of modalities (however, pure meanings still work well there). Area of visual non-perception is the area inaccessible by visual perception (for example behind the practitioner's head). Psychonetics places AVNP in the perceptual category of "non-perceptions". Starting with planar deconcentration (or abstract plain on vision), a practitioner pushes attention back in the area behind the head. When placing visual attention behind the head, it is important to avoid visualizing anything in the imaginary visual space. Area of visual non-perception has its own special sensations, which a practitioner learns to recognize. Auditory modality practices are conceptually similar to visual modality practices. When doing exercises in auditory modality, it is critical to learn to isolate auditory perceptual sensations. In many cases, a perceptual habit automatically makes visual imagination follow auditory perception. For example, an individual might automatically imagine 3D space with a direction from where a sound came (which is a useful skill that could later be evolved into echolocation techniques). However, psychonetics struggles to place perceptual habits under conscious control. Thus, for educational purposes, it is important to learn to perceive sounds on their own. Isolated perception makes auditory perception sharper and more detailed and allows noticing weaker signals that were initially beyond the perceptual boundaries. Another reason to isolate auditory perception is that doing so eventually leads to discovering its background – the abstract flow of time, which opens possibilities for practices with time. With eyes closed, a practitioner concentrates on any particular sound. A practitioner notices how a sound is recognized as a figure in time and how a direction is associated with this particular sound. With eyes closed, a practitioner starts by selecting the loudest and the quietest sounds and then spreads attention equally on all sounds in between. With auditory deconcentration, no auditory figures are formed in time. In other words, all recognizable sounds (such as music, people talking or birds singing) are deconstructed and perceived simultaneously without any notion of what these sounds are, where they come from or selecting any individual sound with attention. The sounds are grouped by the moment in time when they occur, not by their sources, figures or directions. To achieve this grouping, the perception of duration of any individual sound is reduced to the length of 0.5-1.5 seconds. One trick that helps reaching auditory deconcentration is to place attention on the eardrum and notice all sounds the moment they come while at the same time suppressing the creation of sound figures in time. When doing the auditory deconcentration, a practitioner focuses attention on the gaps between sounds in which no sounds exist. 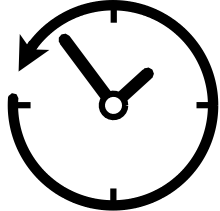 Experiencing the abstract flow of time leads to multiple exercises with time. For example, a practitioner can hold short and long time durations in mind at the same time, eventually creating perception of a 2D time. It is also possible for a practitioner to combine various pure meanings with the flow of time and study how they affect one another. Yet another practice is to stop volitionally the subjective flow of time. It is also possible to roll the subjective flow of time in the direction that is opposite to its normal flow. The subjective sensation of a reversed time flow (in a practitioner's mind only) is relatively simple to achieve with training. Bakhtiyarov expressed great enthusiasm [1, 16, 17] about a theoretical possibility to unfold somehow the sensation of a reversed time flow in a human body or in a society, thus preventing it (at least theoretically) from aging and dying. However, thus far, there are no reports or observable evidence that anyone has achieved any progress in such tasks. Bakhtiyarov has also mentioned  that deconcentration over periods of time and events enable tracking synchronicities . A synchronicity is an alternative type of events relationship wherein similar events are synchronized by the time when they occur, without having normal cause/effect relationships between them. There were also unconfirmed experiments on provoking synchronicities  by "freezing" an event in the abstract flow of time and then creating a special "tension"/"subtle anticipation" sensation that a synchronicity will occur. Somatic (tactile, kinesthetic) modality practices are conceptually similar to practices in visual and auditory modalities. As with auditory modality, it is important to learn to isolate tactile and somatic sensations while suppressing any habitual visualizations in imaginary space. Eyes closed, a practitioner concentrates on any tactile sensation for a few minutes. One trick to intensify the tactile concentration is to attempt to feel the heartbeat pulse in the concentration point. A practitioner tries to isolate only the tactile sensation and suppress any visual imagination, such as imagining a 3D space or direction in which the perception occurs. Eyes closed, a practitioner places attention into internal parts of his or her body, trying to recognize internal body sensations. A practitioner might try to fill areas of different body organs with attention and notice what type of somatic sensations they produce. A practitioner tries to isolate only the somatic sensations and suppress any visual imagination. Somatic concentration is actively used in many traditional practices (such as yogic and qi gong practices) because of the assumption that concentration of attention in different body areas leads to predictable changes in personal psychophysiological state (for example, somatic concentration in the center of a chest leads to stabilization of the practitioner's emotional level). Basic psychonetics does not accentuate practices that work with these effects. However, a practitioner is free to explore this direction personally. Eyes closed, a practitioner starts with the tactile sensations on the top of the head and on the bottom of the feet and then spreads attention equally over all tactile sensations, including those coming from the body touching the clothes and sitting surface. A practitioner tries to isolate only the tactile sensations and suppress any visual imagination. Eyes closed, a practitioner starts with the tactile sensations on the top of the head and on the bottom of the feet and then spreads attention over all tactile and internal body area sensations. A practitioner perceives them all at the same time without specifically focusing on any particular sensation. A practitioner starts with regular somatic deconcentration. To notice the background of somatic sensations, it is helpful to use sounds or visual objects. In the case of sounds, the practitioner's eyes are closed, and the practitioner notices how the somatic background reacts to incoming sounds and how incoming sounds change its state. In the case of visual objects, practitioner's eyes are opened. A practitioner looks at different objects and notices how they affect the state of somatic background. Somatic background is subjectively perceived as a body tonus or body energy level that is characterized by quality (which can be affected by perceived sounds or visual objects) and by quantity (intensity). Somatic background belongs to a "non-form" perceptual category in psychonetics. Once somatic deconcentration is experienced by a practitioner, a mild form of somatic deconcentration can be added to the will meditation to help working with auditory distractions. Somatic deconcentration absorbs the energy of these distractions (or rather it re-absorbs the attention that was dispatched to analyze the incoming sounds). Somatic deconcentration is also used together with pure meaning practices (see below) to control various aspects of the personal psychophysiological state. Somatic background technique is used together with volumetric deconcentration for tasks that require tracing weak perceptual signals such as finding hidden objects. Somatic background technique can be interpreted as a conscious version of a "gut feeling". Psychonetics defines two operations with pure meanings: folding and unfolding a pure meaning. Folding an entity (a text, a quality, an object, a system or a situation) into a pure meaning is to perceive the pure meaning sensation of this entity directly, isolated from any sensorial perception, imagination, symbols or words. Unfolding a pure meaning is a process of materialization of a pure meaning sensation into a text, symbols, an action or an area selected with attention. For example, the process of folding a text into a pure meaning can be called "understanding", or "de-verbalization". Unfolding a pure meaning into a text can be called "explanation" or "verbalization". Folding and experiencing pure meanings sensations is part of the will meditation, that is, when a practitioner attempts to sense the pure meanings of the meditation phrases ("I am", "I am will"). A simple practice to start with is to use colored 2D geometric figures, such as a green triangle, red circle and blue square (any color with any figure). With eyes closed, a practitioner imagines a selected figure in imaginary space, pronounces its textual name and tries to catch a sensation of the meaning, of the underlying sense, semantics that the figure produces. This sensation of meaning is easier to catch when a figure changes, so the associated pure meaning sensation also changes in mental space. Initially, drawing the actual colored figures and watching them can also help. A practitioner watches colored figures consecutively while trying to notice the subtle difference in mental sensations that these figures produce. Once the pure meanings sensations are noticed, a practitioner tries to isolate and maintain only these sensations while cleaning the mind of any visual imagination and without pronouncing words. Colored figures might not be the best choice to start with for everyone. A practitioner could start experimenting with anything that appears more natural to him or her, such as sounds, tactile sensations or written words/symbols/concepts. For example, for a software engineer, it could be simpler to notice the pure meaning of a "Web Server" in comparison with the pure meaning of a "Database Server", rather than comparing colored figures. However, after pure meaning sensations are reached in one area, they become easier to notice in other areas. After learning to sense pure meanings of colored figures (or any other practice entities), a practitioner tries to learn to select a colored figure through its pure meaning, without naming or imagining it. After selection, a practitioner unfolds the pure meaning either to the visual imagination space or by naming the colored figure verbally. Starting with the previous exercise, a practitioner extracts the pure meaning of any particular color (for example a red color) and holds it in mind without naming it or imagining an object or a surface painted with this particular color. Then, a practitioner does the same with other colors. In the same manner, abstract shapes can be extracted – a triangle, a square or a circle. The perception of a shape as a pure meaning happens without imagining it being painted in any color and without verbally naming it. In the same manner, any abstract quality can be extracted. For example, Bakhtiyarov emphasized practices that use "abstract fluidity" and "abstract luminosity" qualities. Any area can be used to extract abstract qualities. For example, they can be extracted from the basic elements, such as fire or water. Fire contains the abstract qualities of luminosity and heat. Water contains the abstract qualities of fluidity and wetness. All of these qualities can be experienced as pure meanings and potentially applied for some practical tasks. Experiencing pure meanings of abstract qualities opens the possibility of creating pure meaning sensations of qualities that do not normally exist. Bakhtiyarov proposed two ways to create unreal qualities: through addition and through subtraction of qualities . For example, adding abstract luminosity with abstract fluidity results in experiencing a luminous fluidity quality. Such a quality might not exist in the regular world but can still be experienced as a pure meaning. Subtraction of qualities lead to experiencing pure meanings of a black light, loud silence, a 3D space with fewer than 6 regular directions, a 3D space with two right sides and no left side and so on. This technique is used for resolving complex intellectual tasks, such as software engineering tasks . In the case of colors, to deconcentrate over all available visible colors in pure meanings mental space is to perceive a pure meaning of a rainbow (without imagining it or naming it). A more complex task is to deconcentrate over pure meanings of all available geometric figures. For individuals with professional experience, it can be simpler and more interesting to deconcentrate over entities in their professional domain area (which most likely already has strong pure meanings to deconcentrate). Perception of some area through deconcentration is not as sharp and clear as through concentration. In contrast, the sensation can be blurry and uncertain. However, there is a clear and relaxing sensation of knowing this area, knowing what it contains and being able to work with it in an efficient manner. Deconcentration in a sensory modality typically starts from perceptual boundaries and then goes toward the center. When deconcentrating in pure meanings mental area, the boundaries are quite arbitrary, and the entire pure meanings space can be structured in many different ways . One approach recently mentioned by Elon Musk  is to structure the knowledge of a domain or a project as a semantic tree. This structure is convenient for deconcentration and allows viewing a domain or a project as a dynamic and growing organism that has its roots, trunk, branches and leaves. Such an approach allows better understanding of why things are how they are, in which directions the tree is growing and how to guide its growing process consciously and in a healthy manner. This practice enables efficient solution for various real-world tasks. Generally, the state of deconcentration produces a certain indifference to whatever occurs in the world. Thus, a pure meaning is used to set a specific goal together with anticipation that this goal will be achieved. In the example of the combat shooting exercise described above, the pure meaning of the phrase, "the shooting move needs to be recognized as early as possible because it is critical for survival," is unfolded into the volumetric deconcentration to push the task-resolution process. Volumetric deconcentration is also used for tasks that require identification of weak signals (for example, searching for difficult-to-notice or hidden objects). 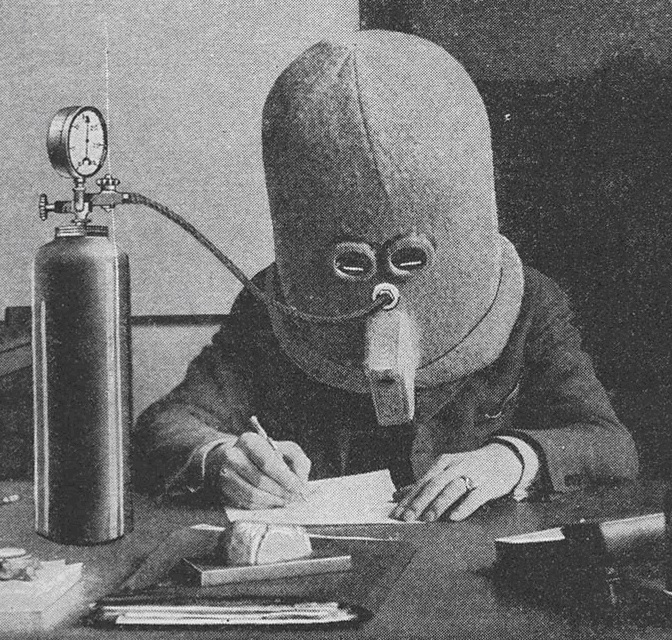 Such tasks require unfolding a pure meaning of what must be found into volumetric deconcentration. The pure meaning of a task goal must be accompanied with a sensation that this goal is very important, with a strong anticipation that this goal is going to be achieved no matter what. This practice demonstrates an interesting perceptual phenomenon. For example, unfolding the pure meaning of fire into an LVA attached to an object makes this object subjectively hot (although a thermometer does not show any difference). The object can retain this subjective perceptual quality for a long time. This practice allows affecting a practitioner's physiological body (or at least its subjective sensations). A practitioner starts with somatic deconcentration and then unfolds a pure meaning into it. For example, a practitioner can unfold the pure meaning of heat into somatic deconcentration space to feel warmer in cold weather – or unfold the pure meaning of cold to cool down in warm weather. It is important to remember, that these kind of practices affect subjective body sensations and not necessarily the physiological capacity to withstand cold or heat. There were incidents of individuals getting pneumonia or getting overheated because of excessive reliance on mentioned practices. As long as the limitations of these practices are taken into account, they can still be employed. As with previously described techniques, a pure meaning here is used to set the goal that must be achieved. First, the working area is perceived in a pure meanings mental area all at once through a deconcentration technique (exercise PM.DA.1.ADV). Then, the pure meaning of a task goal is unfolded in this area, together with anticipation that this task is going to be resolved. When this technique is performed properly, attention either highlights a potential solution almost instantaneously or identifies areas that require gathering more information. Synesthesia refers to the abnormal perception of modalities, such as "hearing a color" or "touching a sound" . Psychonetics allows experiencing this phenomenon consciously by folding a pure meaning from one modality and then unfolding it into another modality (or folding a pure meaning of one quality type and then unfolding it into another quality type). For example, a practitioner can try to fold a pure meaning of a color and then attempt to unfold it into a sound or into a geometric shape. These practices combine several types of perceptual practices in either serial or parallel manner. Perceptual loops practices combine different types of perception in series. Once a practitioner learns several types of perception, it is advisable to practice them in loops in which each type of perception transforms naturally into another type. Each type of perception in a loop is maintained for no more than 5 minutes. The overall perceptual loop practice duration may exceed the typical 15 minutes practice limit. Perceptual depth training: a switch occurs when the current type of perception is the deepest. Perceptual strength training: a switch occurs when a practitioner starts to feel tired with current type of perception. Perceptual speed training: a switch occurs as quickly as possible, while still maintaining the quality of each type of perception. Total perception practices combine several different types of perception to be performed at the same time. Total visual perception is achieved by performing volumetric deconcentration, planar deconcentration, abstract plane of vision (non-form) and the area of visual non-perception (non-perception) all at the same time. Total deconcentration is achieved by performing volumetric deconcentration, auditory deconcentration and somatic deconcentration all at the same time. Once a practitioner learns deconcentration, non-form and non-perception practices in all 3 modalities (visual, auditory and somatic), it is possible to attempt to combine them all at the same time, thus achieving total perception. According to Bakhtiyarov , total perception leads to the "stopping the world" phenomenon (when regular perception of the world stops completely) and then to the ability to maintain a certain degree of consciousness continuously – even during the deep sleep (non-REM) phase. Bakhtiyarov has provided an exhaustive list of psychonetical practices in his "Active Consciousness" book, which is available online . There are sufficient ideas in this book for many years of practice. Another means of obtaining further practices is to create them yourself. It appears that psychonetical practices follow the same logic and principles. Thus, an individual might be able to rediscover many of the known practices and potentially discover practices that are not described anywhere. A good model for the individual study of psychonetics is a model of doing a research on personal mind and perception. It is useful to borrow some methodological elements and criteria of a scientific research [27, 28, 29] (particularly logical, empirical and sociological criteria). Following scientific criteria entirely appears problematic because of several restrictions that psychonetics currently has (such as avoidance of explanations, subjective nature of psychonetical experiences and problems with peer reviews). When doing a research in personal and independent manner, any direction that appears interesting (within healthy limitations) can be explored and any idea can be verified in practice. A practitioner can continue the research as far as his or her curiosity, interests and abilities extend. Studying psychonetics individually is convenient through agile methodology  such as Scrum . The agile concept of an "Iterative and incremental development"  can be transformed into an Iterative and incremental study. Such a study is a combination of a study through repeated iterations ("sprints" in Scrum) and in smaller portions at a time (incremental). Sprint duration for the study of psychonetics may vary between 1 and 4 weeks, with 2 weeks sprints being a common first choice. Incremental management of psychonetical exercises (practices) is convenient with the use of an issue-tracking system (such as Jira). A simplified approach is to maintain a text/Excel file containing the list of exercises with a status beside each exercise. Based on individual preferences, a practitioner selects a list of 5-10 exercises, starting with the exercises that appear the simplest, assigns [In Progress] status to them and practices them for the sprint duration. [In Progress]: the exercise requires more time, so it is repeated in the next sprint. [Try Later]: a practitioner decides to defer the exercise for a later time, for example, because the exercise is too complicated and must be addressed when a practitioner becomes more skillful. Based on the amount of done/deferred exercises, a practitioner assigns [In Progress] status to more exercises and starts the next sprint. It is possible to switch between exercises every other day to provide diversity for training. However, this approach might reduce training efficiency; therefore, it is better used with optional exercises. Another means of providing diversity for training is to dedicate time to free experimentation, such as 15 minutes at the end of the daily practice, or to dedicate one practice day per week to free experimentation with any practice. Later, a practitioner can discover more exercises and techniques that appear interesting to try. Such new techniques can be added to the same list of exercises and processed through the same iterative workflow. Studying psychonetics in a form of doing a research can benefit from having a central knowledgebase in which ideas and discoveries can be recorded and summarized. A good format for such a knowledgebase is a personal wiki (such as TiddlyWiki ). A personal wiki can also be used as an issue-tracking system for sprint planning. Yet another use for a personal wiki is to keep a practice journal. Bakhtiyarov recommended maintaining such a journal in a scientific style, recording which practices were attempted on which day, their durations and effects. Such a journal enables better and more objective monitoring of a practitioner's progress. Psychonetics is practiced once a day, 4-6 days a week. A typical daily practice starts with the will meditation exercise for 20 minutes, which serves as a warm-up. Will meditation is also practiced for 2-5 minutes at the end of the practice as a cool down. The time limit for each exercise is 3-15 minutes. Therefore, if a practitioner selects 7 exercises for a sprint, the overall daily practice duration will take 1-2 hours (including warm up and cool down). Spending more than 2 hours per day on psychonetical training is not recommended. There are several exercises (marked as "Introductory") that do not require more than a few days of practice. However, most of the other exercises can require 15-40 days of practice to achieve a solid experience of the described phenomenon, and then even more days to deepen that experience. Many exercises might not work at the beginning, which is normal. It is important to keep trying to do them for at least 15-40 days before judging whether they really work. A practitioner's effort to reach a described phenomenon is the main factor of efficient psychonetical training. Initially, it does not matter that much if a phenomenon is achieved during the practice or not. A practitioner's effort, which is applied regularly, eventually makes the phenomenon to occur and then increases its quality. It is also preferable not to rush an exercise because, although a practitioner might feel that the proper experience is already achieved, continuing to do the exercise occasionally uncovers even deeper and more interesting experiences. For this reason, it is occasionally useful to revisit old exercises. According to Bakhtiyarov, a mind needs time to adjust to the unusual mental techniques (such as those that psychonetics provides) in a healthy way. Thus, he recommends spending at least 1.5-2 years to learn psychonetics. Speeding up the process is strongly discouraged because of the risk of undesirable side effects. Progressing in psychonetics has similarities with progressing in sports. Making too little efforts causes no progress at all (but also no problems), and making too much efforts can cause traumas, which in the case of psychonetics appear as various mental disorders such as psychosis. Training perception is similar to training muscles. It must be performed regularly without under-doing or over-doing it. With time, the abilities of a practitioner increase. Therefore, more-intense training and exercises can be tolerated with less risk. 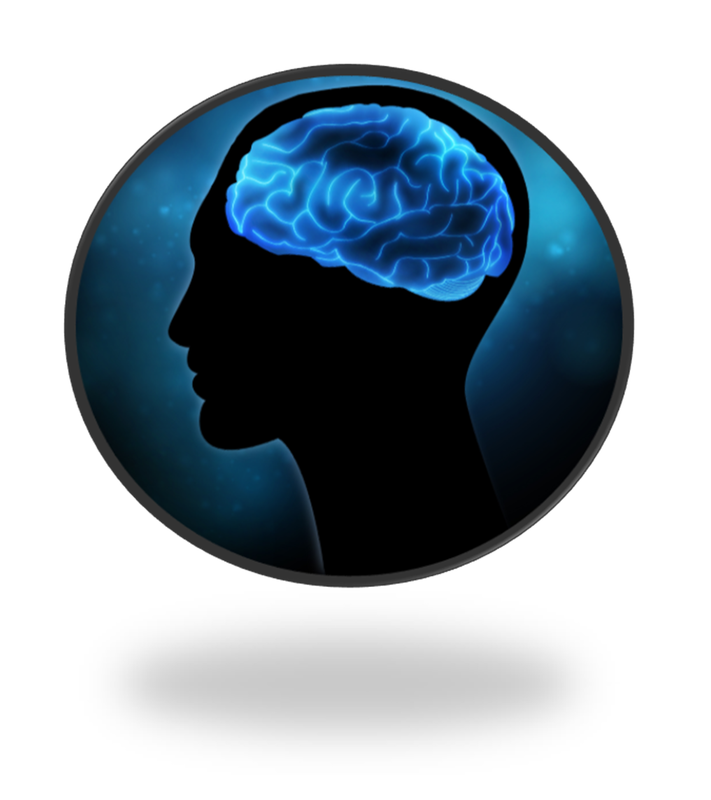 Mental health: an individual must be mentally healthy to practice psychonetics. Bakhtiyarov's organizations require a certificate of being mentally healthy provided by a legal psychiatrist from all students attending seminars. Personal responsibility: psychonetics is mostly practiced individually and can have strong effects on a practitioner's mind. To address adequately the changes that psychonetics can introduce, a practitioner should be capable to assume full responsibility for what occurs with his or her life and to be able to act accordingly. Will meditation is the warm-up and the cool-down for training. It must be practiced as recommended (20 minute warm-up, 2-5 minute cool-down). Will meditation can also be practiced any time during or outside training if a need appears to stabilize personal psychophysiological state. Time limits: the recommended time limits have to be respected. These limits are as follows: no more than 15 minutes on any individual exercise (except will meditation and perceptual loops) and no more than 2 hours for the overall daily practice. Controllable: all effects induced on a practitioner by psychonetical practices must occur in a controllable manner. If a practitioner starts experiencing any uncontrollable effects (even when these effects are subjectively perceived as "good"), the practice must be paused. Ideological safety: it is advisable for a practitioner to avoid unnecessary explanations and one-sided interpretations, particularly ideologically/ontologically biased ones, as much as possible. It is also preferable to avoid quick conclusions and keep healthy doubts of what psychonetical experiences truly are while removing doubts about doing practices to progress further. This attitude is particularly important when approaching the phenomena of will and pure meanings. Bakhtiyarov mentioned that these two subjects are most commonly confused by beginners with other physiological or psychological sensations. He also mentioned that some students tend to simulate psychonetical experiences by their descriptions without actually reaching them . Retaining doubts and avoiding quick conclusions helps to prevent these problems. It is very important to follow practice guidelines and safety norms to reduce the risk of excesses and undesirable side effects. Activation of personal problems: while providing a better access to personal subconscious mental structures, psychonetics can uncover past traumatic experiences and memories that an individual had forgotten or somehow compensated for. Such discoveries can be difficult to address. If an individual continues the practice, personal problems typically clear up and psychonetical practices become easier to do. Overrating alternative aspects of the world: psychonetics provides numerous experiences of alternative aspects of the world, which can be new to a practitioner. There is a risk of overrating these alternative aspects over the normal, familiar aspects of the world. There is also a risk of one-sided interpretations of such aspects, for example through a mystic or religious ideology. Combining psychonetics with some other types of practices: psychonetics is not compatible with practices and training that include an excessive rise in emotional level, suggestive techniques, sleep deprivation or long fasting. Overdoing the practices: overdoing the practices can lead to a psychosis. It is important to maintain subjective body tonus (energy level) under conscious control and pause practices if this level becomes too high (thus preventing an energy burst). A practitioner feels he or she is gaining "magical powers"
"At some point through your practices," Bakhtiyarov said in a seminar, "you might have an experience as if God is talking to you and asks you to bring His message to the world. This is normal, just stay calm, avoid quick conclusions and continue your practice. Treat this experience as yet another distraction." Psychonetics does not deny religious or mystic interpretations. Such interpretations are considered a personal choice of a practitioner and are outside of the scope of psychonetics. However, psychonetics suggests maintaining a cautious and discreet attitude toward phenomena that are considered mental disorders in psychiatry (such as hearing voices in the head), and avoid these phenomena if they occur in an uncontrollable or overrated manner. If the symptoms cannot be treated with a sober attitude, a cold shower and a good sleep, the practice must be paused. Practice-induced symptoms typically do not last long when the practice is stopped . 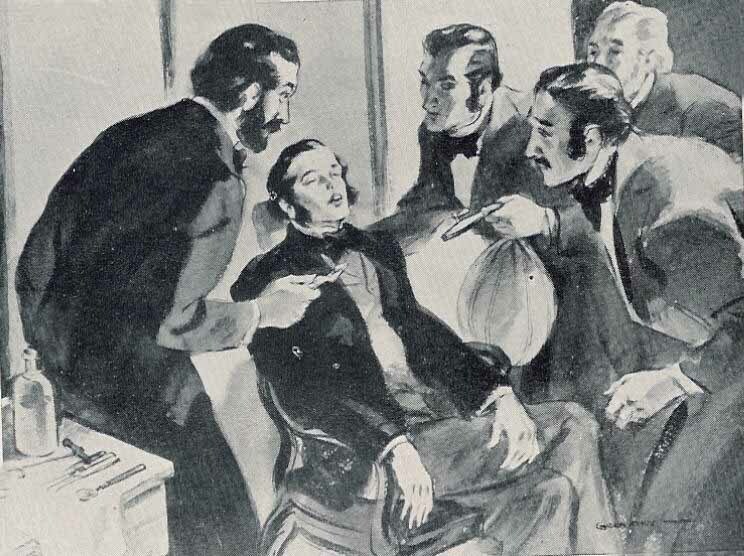 In more-serious cases, a practitioner must seek the help of a professional psychiatrist. The risk of mental disorders is not unique to psychonetics. Any activity that has noticeable effects on a practitioner's mind poses such risks, including many spiritual, religious and psychological practices (those practices that actually work). The risk of mental disorders associated with such practices might not be well known to the public, but it is well known in psychiatry . The difference that psychonetics introduces is that it openly admits such a risk and proposes safety norms. Once an individual learns psychonetical techniques, there are various areas to explore. Many people are immediately attracted to the pursuit of various exotic phenomena, some of which might be considered supernatural, with varying and unconfirmed results. 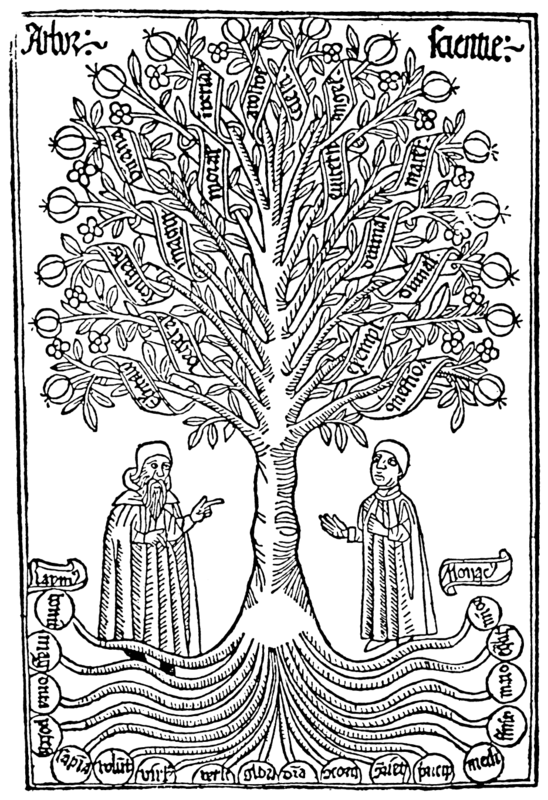 When approaching supernatural subjects through psychonetics, it is worth remembering that the researchers of Kiev Institute of Psychology expend great effort to separate psychonetics from religious, esoteric and mystic ideologies, thus making possible the adaptation of this discipline by ideologically diverse societies and using it as part of a technological process. It would be a huge waste to reduce psychonetics to a yet another esoteric or mystic doctrine practiced in a sociopathic manner. Psychonetics can be easily misused to boost the sensation of personal exclusivity and being misunderstood by "other people" who are considered less advanced. For some individuals, such an effect can have its own value, and it could eventually become the only practical application of psychonetics that they employ. In contrast, pursuing supernatural phenomena for real can be a very challenging and tiring activity, which can easily lead to excesses and undesirable side effects as described earlier. There are most likely reasons why supernatural things do not happen often (if they happen at all for some people). Approaching such phenomena requires caution, sobriety and humbleness no less than determination. A wiser choice is to keep supernatural subjects for personal amusement without giving them too much credit until they can be reproduced in a stable, healthy way and preferably applied for some pragmatic purpose in which their existence could be independently validated. Another way to use psychonetics is to attempt to boost professional performance in a practical area or develop completely new approaches in such an area. This way might initially appear boring compared with supernatural subjects, but it has several key benefits that can be crucial in the long term for a practitioner's progress and overall well-being. Sobriety: typically, there are clear and objective criteria concerning whether psychonetical practices have improved professional performance or not. Regularity: psychonetics becomes a part of a practitioner's life and not some foreign thing which is practiced an hour per day. Testing ground: there is typically a practical area with which to experiment. Creativity: a practitioner can constantly improve psychonetical techniques that are in use and discover new ones. Social acceptance: providing higher quality services to a society can enable higher support from that society, including a higher level of tolerance toward the "weirdness" that a discipline such as psychonetics can introduce in its practitioners. According to Bakhtiyarov, the technological potential of psychonetics, which qualifies it as a "post-information technology", is the development of essentially new types of technologies that enable working with complex systems in their totality as organisms as opposed to using a mechanical approach in which a complex system is perceived as a mechanism that can be assembled or disassembled. Examples of such complex systems are complex industrial, business or software systems, the human physiological body, the human psychological body, a society, a culture or a biosphere. "When we talk about the pressure of global demands, we usually refer to problems that appeared due to a lack of conceptual and technological means to work with organismic objects. This class of problems includes the development of an ecological strategy, which is currently a set of means to slow down the degradation process of the environment but not to organize the recovery processes" . Total system perception: deconcentration of attention enables perception of a complex system in its totality as an organism. A complex system may be perceived in a perceptual modality (visual, auditory or somatic), in an imaginary modality, and in a pure meanings mental area or in their combinations. Pure meanings: pure meanings act as a knowledgebase for any domain and as a proper tool for effective thinking, in which a solution to a complex task can potentially be achieved in one single step as long as sufficient input data are accumulated. Pure meanings also enable practical usage of verbally inexplicable perceptual and mental phenomena. Will: a monitoring and controlling authority of mind that pushes the goal achievement process and prevents overloads. Based on public sources [12, 13, 14], the first individual to report the successful practical application of psychonetical practices in their modern form was Natalia Molchanova, a 16-time world champion in freediving. In 2011 Natalia Molchanova wrote , "The combination of aural, visual and somatic AD [deconcentration of attention] gives integral perception of the world, harmonizes interaction with the environment, and allows noticing minute changes in the organism. At the same time, it accelerates decision making..."
As an extreme sport, freediving is a natural area in which to apply psychonetical techniques because these techniques were originally developed for other extreme activities, such as those in which cosmonauts and military forces participate. 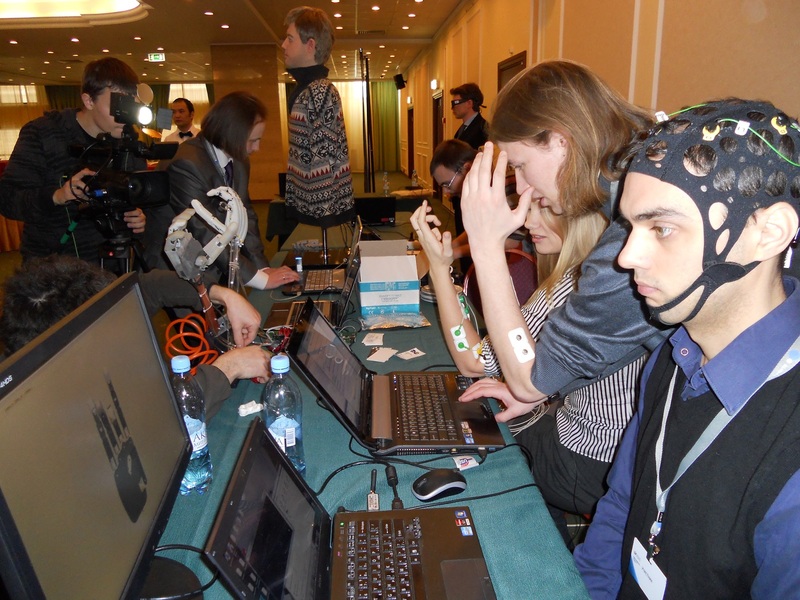 at the "Global Future – 2045"
At the "Global Future – 2045" International Congress in Russia in 2012 [20, 21], Bakhtiyarov reported that a team of researchers developed a brain-computer interface to control a robotic arm based on changes in encephalogram parameters. The technology itself was demonstrated live at the congress. A portable electroencephalograph reads brain activity as alpha, beta, delta and theta rhythms and then interprets the parameters of these rhythms, which an operator consciously controls to create commands to the robotic arm. Although the idea itself dates back to the 1970s [30, 31], its practical utilization has been problematic thus far, partially because of the inability of a normal individual to control his or her brain rhythms with the required diversity and stability. "Any person can produce 2-3 states of mind, but in our case, we need to create dozens of different states", Bakhtiyarov says . "Each of these states has to be reflected in some parameter of the encephalogram or in their combination. This is not a trivial task, and it takes a long time to master because the selected parameter has to quickly replace the previous one or it has to be maintained for a prolonged period of time. Reaching this result without special training is practically impossible, and if we try to train an operator in 10-15 days, we would most likely have to send him to a psychiatric clinic afterwards because intensive work with a mind without safety norms inevitably leads to certain mental breakdowns." "To be able to control this robotic arm, an operator needs to create up to 30 different states [of mind]". "Existing [psychonetical] practices allow an operator to produce this amount of states. For example, the deconcentration of attention state shifts the brain activity into the alpha-theta range. More subtle states produce other effects." 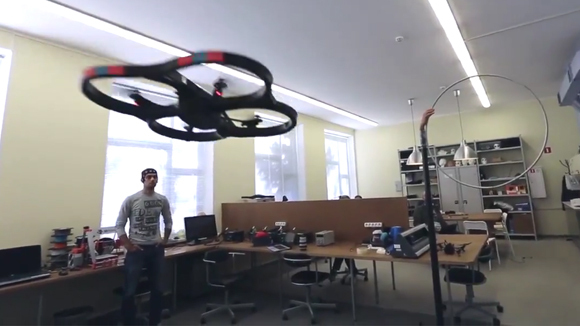 At the end of 2015, the same team demonstrated a mind-controlled quadcopter drone that accepted not only 6-directional commands but also scenario commands (such as a command to fly to a given point). The commands to a quadcopter were provided in a background mode – an operator was moving and doing other tasks at the same time [22, 23]. In this particular case, psychonetics appears to be returning to its origins by becoming a government-sponsored, military-related research project (the project is currently funded by "The Fund for Perspective Research" , which is a Russian version of the USA DARPA). Another report that identifies a potential area of applicability for psychonetics is my earlier article on using psychonetical techniques to address complex problems in software engineering (2012) . For some time, I was looking for a good foundation to describe various mental techniques related to resolving complex tasks in software engineering. I was already using these techniques spontaneously before learning psychonetics, but with psychonetics, I actually understood what I was doing. Understanding brought confidence in these techniques and significantly improved the way I worked. I learned to invoke these techniques consciously, their efficiency kept increasing, I kept discovering new techniques, and what I enjoyed most was that I could precisely monitor my personal psychophysiological state, thereby I could maintain peak performance without burning out. However, after a few years, I have realized that, although psychonetics can provide a serious performance boost with regular tasks, there is a limit to this boost. The reason is that regular software engineering tasks and tools are not always structured well for use with psychonetical mental techniques. To demonstrate what these techniques are really capable of would require a quantum computer and some dimensional (non-serial) programming language together with a dimensional input control that (ideally) could translate a subset of pure meanings directly into code. Such a system would be a true extension of a brain, not only with an increased ability to resolve real-world tasks, but also with an ability to directly increase and scale the human mind capabilities. The human mind could seamlessly delegate some tasks to a distributed computer system, thus achieving unmatched mental performance. 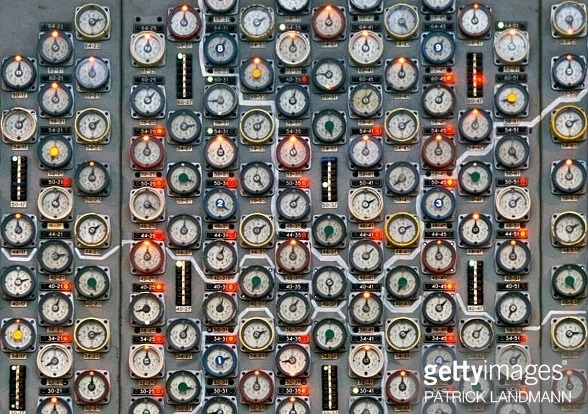 If such a computer system were ever developed, the gap between it and a modern computer could be similar to the gap between a modern computer and an abacus. No wiser than I was before"
It appears that a few individuals who have reported that they applied psychonetics with some success tend to perceive people which identity they share as the best social group that could understand and use psychonetics. In my case, this applies to computer nerds. A psychonetical approach is essentially nerdish: intellectual, non-conformist, unbiased, practical, individual, and, above all, enabling creative low-level access to its subjects: mind and perception. This approach is how nerds prefer to perceive the world and interact with it. This approach is how nerds interact with their computers. Computers gave many nerds not only competitive salaries and a decent social place. More importantly, nerds obtained an unmatched space for experimentation and creativity, subjects that have their own pure meanings (unrelated to any reasonable explanation about why doing these things). For a nerd, a computer is essentially a way to create and explore new worlds (regardless that these worlds are virtual). A computer can be viewed as a mind (an artificial mind) that creates worlds. The human mind can be interpreted in a similar way. Thus, interaction with a computer has its philosophical value and can contribute to a better understanding of the human mind and perception. The individual-oriented nature of psychonetics can be attractive to nerds, who often have problems fitting into a group. Although such an approach could contribute to making nerds even less social, psychonetics appears to have a capacity to improve social skills in quite an unexpected manner. Deconcentration of attention can be a technique that benefits nerds most. Nerds' concentration skills are typically unmatched. However, their skills of sensing a context are often as poor. This limitation leads to inefficiency with tasks that require working with a context, such as social interactions, combat situations or even driving a car. Deconcentration enables conscious operations with a context, which makes such operations potentially more efficient than the "instinctive" approach that is more commonly used. A nerd who has developed deconcentration skills as strong as concentration skills becomes a more balanced individual and can realize his or her true potential. From the industry perspective, adaptation of psychonetics or a similar discipline on a noticeable scale might cause information technology to transform into a "post-information technology," as described by Kazuma and Bakhtiyarov. Such a technology would rely on the exclusive properties of the mind in addressing technological goals. In case psychonetics gains popularity within the internet community, a good model for its development would be an open-source project. Such a model would keep psychonetics in a transparent public space (not as classified government or private research) and would provide anyone who is interested in the subject a chance to try these techniques. Ideally, a structure for such a project must account for multiple interpretations of what psychonetics is and what its true purpose is. One approach to achieve this requirement within one project is to use branches in a version-control system, such as git. The personal wiki data format (which was described earlier) is convenient for use with multiple branches. A new practitioner selects a branch that appears best for him or her. Then, the practitioner creates his or her own version of psychonetics in another branch or participates in a community branch, which may have restrictions. An open and creative approach would enable people with an attitude similar to mine to experiment with psychonetics and see what might come out of it. Creative Commons Attribution-NonCommercial-NoDerivatives 4.0 International License (http://creativecommons.org/licenses/by-nc-nd/4.0/). You are allowed to download and share this book with others as long as you credit the author. You can't change the book in any way or use it commercially without the written permission from the author.